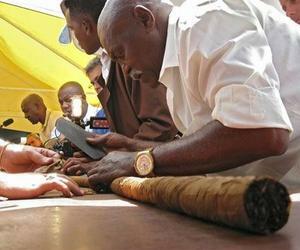 The prominent cigar roller Jose Castelar Cairo (Cueto) started Tuesday in the fortress of San Carlos de la Cabaña, in Havana, making the handmade world's largest cigar. The purpose is to overcome his own record of 81.80 meters recognized by the Guinness Record famous London magazine. He said that for this occasion he aims to realize the feat in 11 days and he has the necessary assurances and high quality raw materials to achieve it.